Mike S has his iPad, and both Mikes drool all over the shiny, and it seems as if the Windows machine that Mike M uses for the studio throws a tantrum out of jealousy. 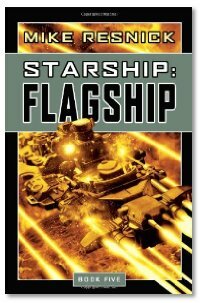 Interview: This week, Mike and Mike chat with Mike Resnick about his "Starship" series, his short-stories, and about some of his inspirations for different story ideas. He also talks about where the publishing industry may be headed with respect to electronic publishing and international markets, especially with the resurgence of the short story markets because of the Internet. Voicemail: Barry from Brighton UK talks about a collaborative "choose your own adventure" online writing project he's working on that was inspired by Dragon Page. For more information or to join in, go to http://barryjnorthern.blogspot.com and look for the CYOA links. What an entertaining and informative interview. Mike Resnick is always fun to listen to. I'd love to be in his position when I get to that age. Thanks for the praise on my call-in too. I've cheekily quoted Mike Stackpole on the CYOA start page. I wouldn't mind longer interviews.